Gloria Fae Boyd, 88, of Norris City passed away at 4:00 a.m., Saturday, November 10, 2018 at West River Health Campus in Evansville, IN. She was born on November 5, 1930 in Cheyenne, WY the daughter of Johnie and Daisy (Harrawood) Pyle. Gloria married Virgil Dean Immel and he preceded her in death on November 13, 1968. She was a homemaker and an avid reader and bird watcher. Gloria also enjoyed visiting with her many friends from the years she worked at Bartley’s in Norris City. Gloria is survived by four daughters, Debbie (Larry) Loftus of West Frankfort, IL, Dale (Kevin) Graves of Monticello, IL, Deena (Marcus) Morris of Enfield and Sara (Carl) Battieger of Mt. Vernon, IN; two sons, Ron (Martha) Immel of Carmi and Randall (Beth) Immel of Newburgh, IN; 16 grandchildren, seven great-grandchildren and three great-grandchildren. She was preceded in death by her parents, two brothers, Elmo and Glenn Pyle, and a grandson, Jacob Immel. 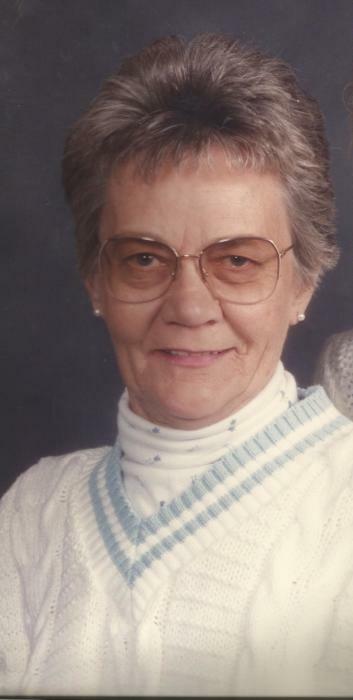 Funeral services for Gloria Fae Boyd, 88, of Norris City will be at 10:00 a.m. on Tuesday, November 13, 2018 at Campbell Funeral Home in Norris City. Burial will be in I.O.O.F. Cemetery in Norris City. Visitation will be on Monday from 4:00 p.m. until 7:00 p.m. at Campbell Funeral Home in Norris City. Memorial contributions may be made in Gloria's name to the Norris City Library or the Norris City Community Museum and will be accepted at Campbell Funeral Home.